I’ve recently been so touched the kindness and generosity of a truly incredible company, Platinum Pets. 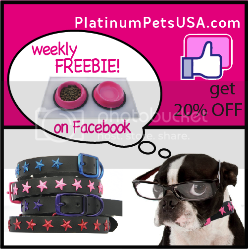 Platinum Pets is the manufacturer of the most AMAZING eco-friendly, designer pet products, including bowls, collars, and leashes. Each and every product is detailed, beautiful, and special! In addition, Platinum Pets actually gives back to the community by helping the animals in need! 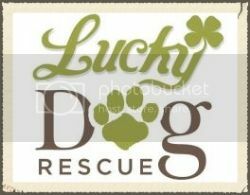 I was recently blown away when the company donated so many of their beautiful products to the dogs of Lucky Dog Rescue! It was such an amazing, selfless act, and I really hope each of you will support their efforts to do even more good in the world by purchasing some of their gorgeous products! First, I have to tell you about my favorite product: the dog bowls. These colorful, embossed bowls are the most beautiful bowls I’ve ever seen! Plus, they’re dishwasher-safe and really easy to clean, which makes my life so much easier! I’ve used a lot of dog bowls over the years, and these are by far my favorite! As if the bowls weren’t enough, Platinum Pets also donated some gorgeous, colorful chained collars and leashes! These collar and leash sets not only look adorable, but they’ve been such a blessing to help me walk so many dogs! The products come in so many amazing colors, created using an eco-friendly, powder-coated process, meaning they won’t chip, rust, or tarnish. I am honestly blown away by the generosity of this company, as well as the beautiful work they do. 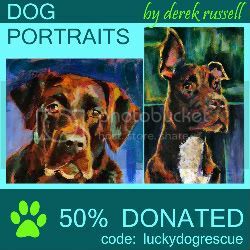 Thanks to Platinum Pets, each of my rescue dogs feels a little more special now, and I do too. Platinum Pets definitely gets the Ashley stamp of approval!